Joseph Lamb (1887 to 1960)was an extraordinarily gifted ragtime pianist and composer along with Scott Joplin and James Scott. He differed from them, though, because the art of improvisation completely baffled him. In response to this, Lamb viewed ragtime as an art form written on paper, instead of a spontaneous one. Though his style and approach were markedly different from his peers, he still left behind a rich legacy and remained one of the most influential ragtime composers. Franz Lehár, 1870 to 1948 was the son of a bandmaster serving principally in Hungary. He followed his father's profession, before winning, in 1902, success in the theatre in Vienna, where he succeeded in the following years in reviving the operetta, providing music of greater distinction, with tenor arias written specifically for Richard Tauber. The reputation of Franz Lehar as a composer of operetta is assured as he wrote nearly forty of them. Of these by the far the best known is Die lustige Witwe (The Merry Widow), first staged in Vienna in 1905, the favourite operetta of Adolf Hitler. 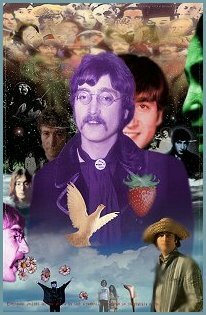 John Lennon, 1940 to 1980,was a pop star, composer, songwriter, and recording artist. He was born in Liverpool, Merseyside, NW England, UK. and was The Beatles rhythm guitarist, keyboard player, and vocalist, and a partner in the Lennon--McCartney song-writing team. He married Japanese artist Yoko Ono in 1969. On the birth of his son, Sean (born in 1975), he retired from music to become a house-husband. Five years later he recorded (Just Like) Starting Over, but he was shot and killed by a deranged fan just before its release. His death affected millions of people, record sales soared, and he continues to be admired by new generations of fans. Frederick Loewe, an unheralded Vienna-born composer, and Alan Jay Lerner, the lyricist-playwright son of the proprietors of an American chain of women's clothing shops, with sketches and lyrics for two Harvard Hasty Pudding shows among his major credits, met by chance at New York's Lambs Club in 1942. Had they not, Brigadoon would never have emerged from the mists of the Scottish Highlands to make the world feel "Almost Like Being in Love" . . . no one would have been there to "Paint Your Wagon" . . . My Fair Lady would still be a less than lyrical English girl from George Bernard Shaw's Pygmalion who couldn't sing a note. . . we might never have thought to "Thank Heaven for Little Girls" like "Gigi" . . . and Camelot would most likely have stayed within the pages of Arthurian legend. When the two, who were destined to enrich the American musical theater with some of its most poignant, rousing, and memorable lyrics, engaging books and powerful musical scores, had that chance meeting more than 50 years ago, neither was widely known. Loewe's Great Lady had had a brief run on Broadway in 1938. Lerner had added radio scripts to his Hasty Pudding Club show credits. But later collaborations after one brief failure, What's Up? (1943), and the moderately successful The Day Before Spring (1945), which ran five months on Broadway, made musical history. Alan Jay Lerner was one of three sons of Joseph J. Lerner, who founded Lerner Stores, Inc. He was educated in England and at the Choate School in Wallingford, Connecticut, before entering Harvard. He studied at the Juilliard School of Music during vacations from Harvard. After graduating in 1940 with a B.S. degree, he wrote advertising copy and radio scripts for such programs as the "Philco Hall of Fame." Frederick "Fritz" Loewe was the son of Edmund Loewe, an eminent operetta tenor. When he was two, Frederick accompanied his father on a tour of the United States. The youngster played piano at four and, at nine, composed the tunes for a music hall sketch in which his father toured Europe. At 15, he wrote "Katrina," a popular song that sold 3,000,000 copies in Europe. He had begun his own concert career as soloist with some of Europe's leading symphony orchestras at the age of 13 after having studied with the noted European musician Ferruccio Busoni and Eugene d'Albert. In 1923, young Loewe was awarded the Hollander Medal in Berlin and studied composition and orchestration with Nickolaus von Reznicek. The following year, the younger Loewe accompanied his father to America. Since neither a concert he gave at New York's Town Hall, nor a subsequent week's engagement at the Rivoli Theater led to further concert engagements, he tried teaching music and playing at Greenwich Village night clubs. When music failed to earn him a living, he worked as a busboy in a cafeteria and as a riding instructor at a New Hampshire resort. He took up flyweight boxing and failed, then went West, cowpunching, gold mining, and carrying mail on horseback over the Montana mountains before returning to New York where he found work as a piano player. In 1935, Loewe's song "Love tiptoes Through My Heart" was accepted for the musical Petticoat Fever. His own musical, Salute to Spring, was presented in St. Louis in 1937. The next year, his Great Lady reached Broadway, but ran for only 20 performances. The first Lerner-Loewe collaboration was a musical adaptation of Barry Connor's farce The Patsy for a Detroit stock company in 1942. They called it Life of the Party and it enjoyed a nine-week hit that encouraged them to continue with the musical comedy What's Up? which opened on Broadway in 1943. Lerner wrote the book and lyrics with Arthur Pierson, and Loewe composed the music. It ran for 63 performances and was followed in 1945 by their The Day Before Spring. It was when the curtain went up to the haunted strains of bagpipes on the night of March 13, 1947, and the mist-shrouded Scottish Highland village of Brigadoon first appeared, that the team of Lerner and Loewe also emerged as potentially legendary. The musical, which after its original 581 performances on Broadway, toured extensively and has been revived frequently, won the "best musical"award from the New York Drama Critics Circle the year it opened and was hailed as having "evoked magic on Broadway." Between Brigadoon and Paint Your Wagon, the next team effort by Lerner and Loewe, Lerner wrote Love Life, with music by Kurt Weill, which was selected as one of the best plays of the 1948-49 Broadway season, plus the story, screenplay and lyrics for the films Royal Wedding and Brigadoon and the story and screenplay for An American in Paris, for which he won an Oscar in 1951. Paint Your Wagon rolled in in 1951, and then, five years later, on March 15, 1956, My Fair Lady opened and became one of the most spectacular successes--artistic and financial--in the history of the American theater. Playing a record 2,717 performances on Broadway alone, it went on to break all other existing world records. This musicalization of Shaw's classic Pygmalion was named "outstanding musical of the year" by the New York Drama Critics Circle--and by millions of theater goers. There was more collaborating to come--the film version of the Antoine de Saint-Exupery fable The Little Prince in 1972, but the 1960 Broadway hit Camelot which brought Arthurian England to life for its most shining hour, rang the curtain down on the phenomenon of Lerner and Loewe. Loewe, who had suffered a heart attack in 1958, went into retirement. In tribute to his long time former partner, Lerner wrote, "There will never be another Fritz. . . . Writing will never again be as much fun . A collaboration as intense as ours inescapably had to be complex. But I loved him more than I understood or misunderstood him, and I know he loved me more than he understood or misunderstood me." Jerry Lee Lewis, born in 1935, is an American rock-and-roll singer and pianist. Anatol Konstantinovich Liadov lived from 1855 until 1914. He was the son of a conductor at the Mariinsky Theatre in St Petersburg, and was trained at the Conservatory, where he was briefly a pupil of Rimsky-Korsakov and later a member of the teaching staff. He was associated with Balakirev and subsequently became a member of Belyayev's circle, helping, in particular, in the establishment of the publishing-house that Belyayev established for Russian composers. He was a thoroughly competent musician, conductor and composer, but did not apply himself consistently to work. His failure to supply music for the Dyagilev ballet in Paris in 1910 allowed Stravinsky his first chance with the Ballets russes. His compositions are characteristic of the period in Russian nationalism, when nationalism was joined with technical competence inculcated at the Conservatories. The best known orchestral compositions by Liadov are the descriptive Russian fairy-tale pieces Kikimora, Baba-Yaga and Volshebnoye ozero (The Enchanted Lake). His last orchestral work was the symphonic poem Skorbnaya pesn (Nénie). All are very much in the nationalist tradition exemplified by Rimsky-Korsakov. Liadov wrote a number of shorter piano pieces, including Fugues and a set of Canons, testimony to his contrapuntal ability. Other pieces have characteristic titles, examples of pleasing and well crafted compositions for which there was a ready market. Liadov wrote a setting of the final scene of Schiller's Die Braut von Messina (The Bride from Messina) for his Conservatory graduation. Of some 26 songs, eighteen are Children's Songs. (Walter) (Wladziu Valentino) Liberace, American pianist and showman. Lee, as he was known, was the master of Las Vegas. Hundreds of thousands flock to his museum there (operated by his brother, George) to see Liberace’s garish suits, trademark candelabra, and learn of the myths behind this hugely successful star of television, stage and concerts the world over. In Praise of Pianos . . .
György Sándor Ligeti, a composer, was born in 1923 in Dicsöszent-Márton, Hungary. He studied and later taught at the Budapest Academy of Music. After leaving Hungary in 1956, he worked at the electronics studio in Cologne, then settled in Vienna, where he developed an experimental approach to composition. His first large orchestral work, Apparitions (1958--9), made his name widely known. In Aventures (1962) he uses his own invented language of speech sounds. He has also written a choral requiem, a cello concerto, and music for harpsichord, organ, and wind and string ensembles. Dinu Lipatti was born in Bucharest and lived from 1917 until 1950. He was a pianist and composer who studied in Paris with Cortot and Boulanger, and after World War 2 established an international reputation as a gifted pianist, especially in the works of Chopin. His compositions include a Symphonie concertante for two pianos and strings, and a concertino for piano and orchestra. His career was cut short when he died of a rare form of cancer. Franz Liszt was born in Raiding, near Ödenburg, October 22, 1811 and died in Bayreuth, July 31, 1886. He was a Hungarian composer and pianist who was a major influence during the romantic period. Liszt was an outstanding pianist at seven, composed at eight and made concert appearances at nine. In addition to being a piano virtuoso, he was also a critic, conductor, city music director, literary writer and transcriber of the works of other composers. He transcribed Beethoven's Symphonies for the piano. Franz Liszt began his career as the outstanding concert pianist of the century, who, along with the prodigious violinist Niccoló Paganini (1782-1840), created the cult of the modern instrumental virtuoso. To show off his phenomenal and unprecedented technique, Liszt composed a great deal of music designed specifically for this purpose, resulting in a vast amount of piano literature laden with dazzling scales, trills, arpeggios, leaps, and other technical marvels. In this vein, Liszt composed a series of virtuosic rhapsodies on Hungarian gypsy melodies, the best-known being the all too familiar Hungarian Rhapsody no. 2. Liszt developed the rhapsody as a form of serious music. This kind of music is worlds apart from the generally more introspective, poetic music of pianist-composer Frédéric Chopin. Liszt was wildly handsome and hugely talented. He was extremely popular in Paris during the 1830's. It is said that women actually fainted at his piano recitals. He was the first to position the piano so that its lid reflected the sound and the audience could see his profile as he performed. Listen to Liszt's transcription of Meyerbeer's Hellish Waltz from Robert du Diable, which probably caused more public commotion than any other piano piece in history. British composer Andrew Lloyd Webber is one of the most successful composers of this era with hugely successful commercial hits such as Jesus Christ Superstar, Sunset Boulevard, Cats, Phantom of the Opera and Evita. Cats, the longest-running production in Broadway history, closed after 7,397 performances on June 25, 2000. Pietro Antonio Locatelli lived from 1695 until 1764. He was born in Bergamo, later moving to Rome, where he might have studied with Corelli, but more probably was a pupil of Valentini. He was an Italian composer of sonatas and concerti, but he was best known as a virtuoso violinist playing mostly in Amsterdam where he settled in 1721. He won a reputation as a virtuoso, performing in Italy, in Bavaria and in Berlin. In 1729 he settled in Amsterdam, where he taught and conducted an amateur orchestra and was able to pursue his wider cultural interests. Locatelli wrote a number of concerti grossi, following the example of Corelli. The first set, published in Amsterdam in 1720, include twelve fugues. L'arte del violino (The Art of the Violin), published in 1733, contains twelve violin concertos and 24 Caprices, precursors of Paganini's famous set for unaccompanied violin. A further set of six concertos was published two years later and a set of six, published in 1744, is scored for four violins, two violas and basso continuo. Locatelli combines the Roman style of Corelli with, in his solo concertos, the virtuosity of Vivaldi in Venice. In his Concerti grossi, works for string orchestra with a smaller group of soloists, Locatelli at first follows the pattern of Corelli, with one or two violas added to Corelli's solo group of two violins, cello and harpsichord. There is also a Concerto grosso that includes a group of solo wind instruments, in addition to solo violin concertos. Some of these works have programmatic titles. His L'arte del violino (The Art of the Violin) includes 24 Caprices for unaccompanied violin, challenging works that have been regarded by some as foreshadowing the Caprices of Paganini in the following century. Locatelli also published sets of trio sonatas and solo sonatas, including a set of the latter for flute and basso continuo. Jean Baptiste Lully lived from about 1632 until 1687 and was considered to be a baroque composer. He was an Italian-born French court composer who molded Italian opera music to suit the French text. He was the first to compose French overtures, which served as model for subsequent composers, especially J. S. Bach. He changed his name from the Italian Giovanni Battista Lulli when he became a French citizen. Lully was conducting a Te Deum to celebrate Louis XIV's recovery from illness. He was banging loudly on the floor with a staff when he struck his foot with such force that it developed an abscess, from which the unfortunate Lully died shortly after. James Melvin Lunceford was born. June 6, 1902, Fulton, Miss., U.S. and died on July 12, 1947, Seaside, Ore. He was an American jazz dance-band leader whose rhythmically appealing, well-disciplined orchestra performed arrangements by trumpeter Sy Oliver and others to popular acclaim from 1934 to 1945 and influenced both swing and post-World War II dance bands. Lunceford, during his youth, acquired proficiency on all reed instruments, but he seldom played with his band because he preferred to conduct. He taught and organized a student orchestra in a Memphis, Tenn., high school before beginning his professional career as a bandleader in 1929. Practiced showmanship, precise ensembles, and a medium two-beat swing tempo rather than exciting soloists were the Lunceford band's trademarks. The band's most popular songs included Organ Grinder's Swing (1936) and For Dancers Only (1937). The Lunceford band was considered to be on a par with bands led by Duke Ellington, Count Basie, and Benny Goodman during the 1930s, and in 1940 the ensemble won a celebrated "battle of the bands" from a field of 28 groups, among them Basie's, Goodman's, and Glenn Miller's. Arranger Oliver left Lunceford in 1939, and by 1942 the band's popularity had declined. 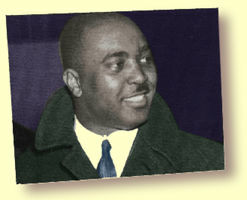 Following Lunceford's death while on tour, pianist Edwin Wilcox and saxophonist Joe Thomas led the band for several years. Witold Lutoslawski lived from 1913 until 1994. He was born and studied in Warsaw, winning a distinguished international reputation particularly from the 1950s onwards, a leading composer among a group of creative artists of outstanding ability, remarkable in his handling of forms and textures of great originality. The genius of Lutoslawski was early evident in his 1938 Symphonic Variations. The years after the war brought a return to more conventional national modes of composition, heard in his Little Suite and Concerto for Orchestra. Later works have allowed a more experimental approach on a broader palette, to be heard in his Funeral Music of 1958, his Second Symphony and the Prelude and Fugue for thirteen string instruments. Characteristic works for voice and orchestra include Paroles tissés for tenor and chamber orchestra, and Three Poems by Henri Michaux for twenty voices and orchestra.